Time for a cover reveal! 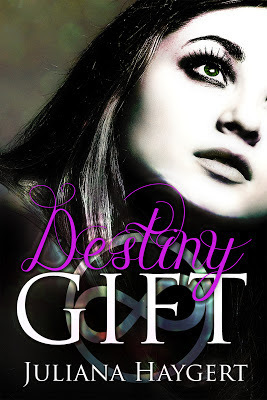 Feast your eyes on the cover for Destiny Gift by Juliana Haygert. Destiny Gift (Everlast #1) by Juliana Haygert. Destiny Gift available April 2013. Want a paperback copy of Destiny Gift? Goodreads is giving away two copies here.